Business cards that have been collated into one career through recognition as same person will have only the most recent business card displayed. Older cards will be displayed as part of the career, and will not appear as search results. 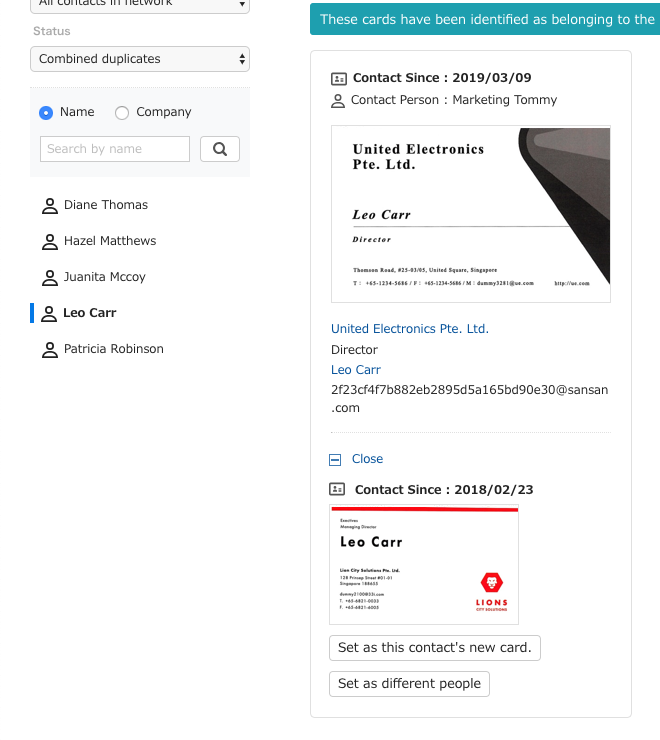 To make cards that are a part of someone's career able to be objects of searches, you will need to change the most recent status of the business cards. Here we will show how to change the most recent business card. 1. From the business card list screen, click on "Potencial Duplicates". 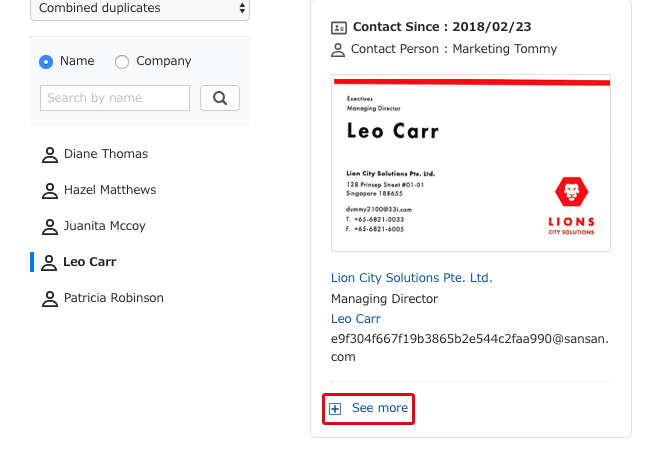 Change the recognition status to "combined duplicates", and find the business card you were looking for. [ ] is used for cards before recognition, and [ ] is used for cards after recognition. 4. Click on the person's name, and from the screen that comes up, click on "See more". 5. The business card that you want to make the most recent will be displayed as a past business card. 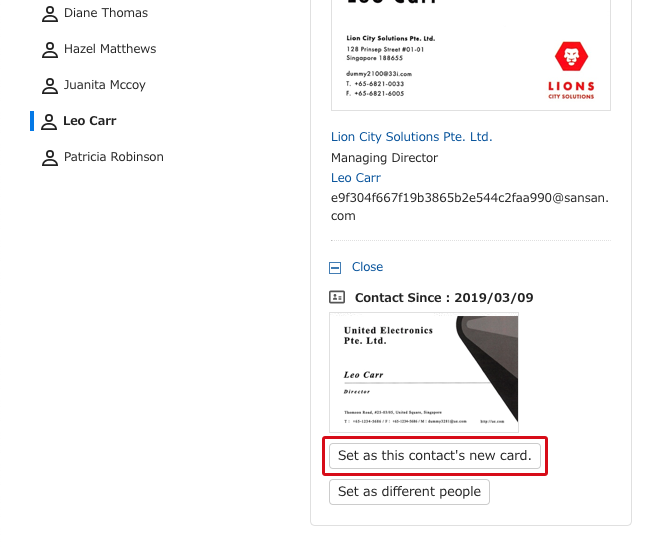 From the card you would like to make the most recent, click on "Set as this contact's new card" displayed on the side of the card. 6. The most recent card and the past card will change places.